Seven years of traveling from England to Ukraine by road has served me well enough. And that’s just as well, because I’ve sidestepped airports all my life, a dread of flying has seen to that. Why then, was I now browsing the website of an airline? I would take the coach again, surely. Or I could drive in my Smart car, or ride, even, on my Yamaha 650 – one thousand, five-hundred miles through six countries to reach the Ukrainian border – a biker’s dream ride out. 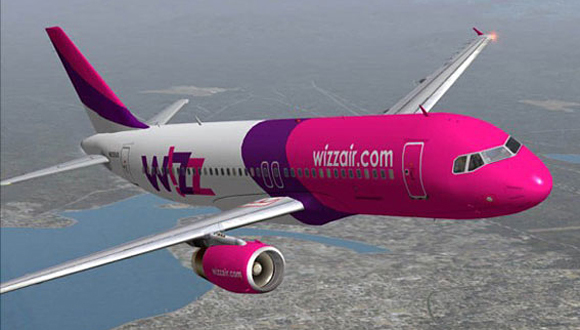 The webpages of Wizz Air promised a short and pleasant flight to Kiev from Luton. The cost – adding the bus to and from the airport from my home – matched that of the coach: £170 return. Without a shred of conviction, I inputted my data, including my debit card details, and hit ‘send’. A return ticket was now waiting for me in my email, I just had to print it. No worries. By the morning I would come to my senses, claim a refund and then buy the only ticket I had ever bought to get me to the Former Soviet Union and back: a COACH ticket. A morning, a week and even a month can pass by real fast if you don’t keep an eye on them, and this month literally FLEW by. The day was now upon me; it was too late to do anything, except, FLY. The only planes I had ever seen were on the television, and they’d already crashed. I wasn’t looking forward to the signs waiting for me at the airport very much either: ‘Terminal’ – ‘Departure’ – ‘FINAL Destination’. And just a month earlier there was that closure of Luton Airport for several hours while the BOMB SQUAD carried out a “controlled explosion“. This life-long dread of flying seemed perfectly justified to me so far. I arrived at the airport in good time. Checking in was straightforward enough. I took off my belt and shoes and emptied my pockets as instructed. My naked-lady cigarette lighter with flashing bosoms forced a raised eyebrow from the African employee entrusted to detect questionable items on persons and in luggage before they reach the plane. I told myself that his training in this matter would have been of the highest order and that he took his job seriously. He would foil any bomber long before they got comfy next to me on the two hours and forty minute flight to Kiev. I bought no food in the waiting lounge for fear of being sick during the flight. I wasn’t looking forward to my nose blocking up, ears continually popping and deep vein thrombosis, either – all of which I’d been told to expect by those in my life that regularly opt for this mode of transport. Once I boarded the thing (I’d come close to fleeing the second I saw it) there was about thirty minutes of not much (taxiing and waiting for clearance I now know they call it). The two stunning Ukrainian flight attendants I’d smiled at when I got on suddenly appeared in the aisle – this was more like it. But wait! What was this? Instructions on what to do in the event of a CRASH? Life jacket? Oxygen mask? They don’t do this on the coach. And then, without any consideration for my anxieties, no warning, no honking of a horn or whisper in my ear from either of the two beauties, nothing… ‘WHOOSH’ – the most powerful pair of eager, acceleration hungry engines ever to transport me anywhere fired up and blasted me down a strip of tarmac that was no way long enough (according to my rapid calculations made from out of the steamed-up window). Those trees at the runway’s end were about to be mowed down. Brace yourself, Danny boy, the flight attendants weren’t joking with their crash instructions. My eyes slammed shut and I agreed with them. It is difficult to measure time during moments of severe anxiety. Sometimes what happens is that everything goes into slow motion. For me, now, it was perhaps a full two minutes suspended in flashback mode. My entire life played back to me. Would I have done anything differently? Yeah, I would’ve got the coach. As this man-made contraption with wings and a tail shook and moaned and heaved its heavy body off the ground and into the air, a verse from Alanis Morissette’s ‘Ironic‘ kindly appeared in my thoughts, – something about: “he waited his whole damn life to take that flight, and as the plane crashed down…”. Great! Then another thought: if my mobile survived but I didn’t, the BBC News app I’d recently downloaded would display the details of my demise, in my pocket, on my dead and mangled body. Updates would come every thirty minutes. Other, disorganised but equally unsettling thoughts raced into my mind and vied for front place. One being that at least I haven’t a wife, children, mother or family of any kind to be informed of my death, at least that was something. My eyes eased themselves open without my permission. I saw that the aircraft was no longer pointing to the sky, it had leveled out. The sound inside was that of a relaxed machine doing its job, a bit like the coach cruising along the Autobahn. And the sound of seat belts being unbuckled; a reassuring sound. I unbuckled mine; I couldn’t remember buckling it up in the first place, perhaps when Alanis had been singing to me. Stuck up in the air – God knows how high – I listened intently for signs of engine failure and heard none. My eyes darted around and searched every face for any kind of concern, and saw the opposite: reading, listening to music through earphones, chatting. Out came one couple’s iPad. Repeatedly, and with much concern, I peered out the window but saw no fire coming from the engine – no wing about to break off. Instead, I witnessed clouds, beautiful, fluffy clouds, Bedfordshire beneath them, down there. All was as it should be, it seemed. The two Ukrainian beauties appeared again, this time offering snacks and beverages; I took coffee and a sandwich – to hell with the extortionate prices. And I didn’t feel at all sick. With no impending doom to have to deal with I rested back in my seat, gently closed my eyes, and daydreamed of my forthcoming two-week stay in Ukraine. And where would I be now if I had taken the coach? Probably still stuck in London battling the traffic on route to the ferry at Dover, with a full two days travelling ahead before stepping on Ukrainian soil. The speaker above my head burst into life and startled me: “Ladies and gentlemen, we are beginning our descent. We will be landing at Zhuliany Kiev in approximately ten minutes. 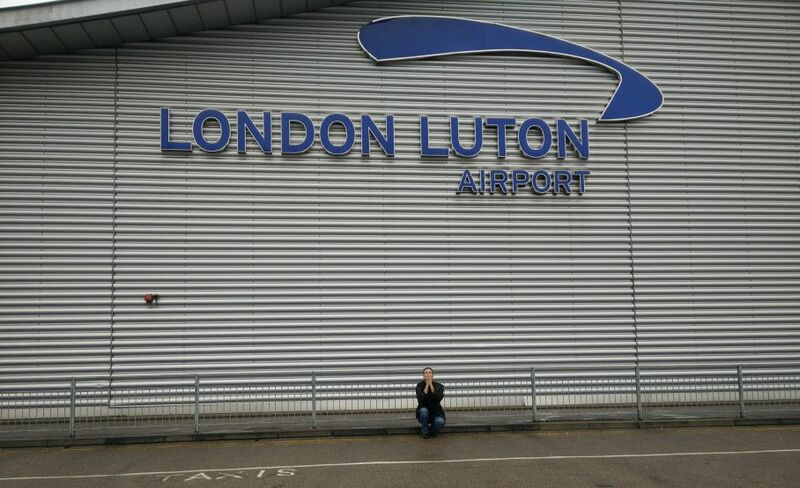 Please fasten your seat belts.” I pulled out my phone – two hours and thirty minutes since take off at Luton. Bang on time. Wow! Beginning as tiny specs below, then becoming more discernible with every passing moment, the vast wilderness of the largest country in Europe began to reveal itself through my window, like patches on a handmade quilt. Shacks and modest farms appeared. So did ant sized people; I tried to make them out. Village babushkas, hanging out washing, brooming up autumn leaves, nattering to neighbours. Men and boys working the farms. Horses and carts. Wild dogs. Taller buildings soon replaced all that: apartment blocks – some new, most old, built by the Soviets. Cars. Trams. City life. Kiev. Our wheels bounced a bit on the runway then quickly steadied. The plane slowed to a crawl. It turned and faced towards the waiting building, and stopped. I raised my hands in the air and applauded, because everyone else had, but I wanted to anyway. As I strolled across the Ukrainian tarmac and through Zhuliany airport I realised something I’d always believed to be impossible: I felt… wonderful. I had faced up to a lifetime of fear and conquered it. But not only that… I had really enjoyed the flight, once I’d relaxed. And the beauty ‘up there’ I had never before seen; it squashed everything. I will never again spend two days in a coach to Ukraine (or anywhere else). I wish someone would have told me that flying is truly an amazing experience, and the safest form of travel. Or perhaps they have, and I just haven’t listened. You know, flying is truly an amazing experience. AND the safest form of travel! “Come fly with me, let’s fly, let’s fly away”. My mother had a fear of flying and she never got over it. I feel a bit nervous at times, I think it’s something that can creep up on you. I know a guy who is in the music business and he’s flown all over the world. A couple of years ago he was on a cross Atlantic flight and the turbulence was so bad that people were screaming! He said he could hear people saying their prayers and the plane felt as though it was falling out of the sky. He was terrified even with all his flying experience. Once someone had a heart attack on the plane I was on! It’s the unknown element that makes me nervous not the idea of flying. Great article. Well done! Well that turbulence that he experienced would be it for me I think – I’d be shouting to be let off the plane, now, open the door someone. I’m thankful not to have experienced hardly any on that first flight I took last month. Not sure when I’ll do it again. Soon I hope. I kinda fancy Russia for a week. Thanks for reading and commenting, Giovanna. What an entertaining read! Glad you conquered your fear of flying. Here’s to many safe and happy air-hours in your future! And thanks too for taking the time to read and comment. I’m thrilled to be here among you all. I want to congratulate you on taking such a big step to overcome your fear, but it seems inappropriate to be chuckling as I do. You have such a great sense of humor, especially after the successful landing of the plane. Very enjoyable read, and congratulations! Anxiety can overwhelm, but you were the victor! Thank you for reading and commenting on my first article for Jaquo.